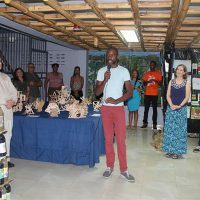 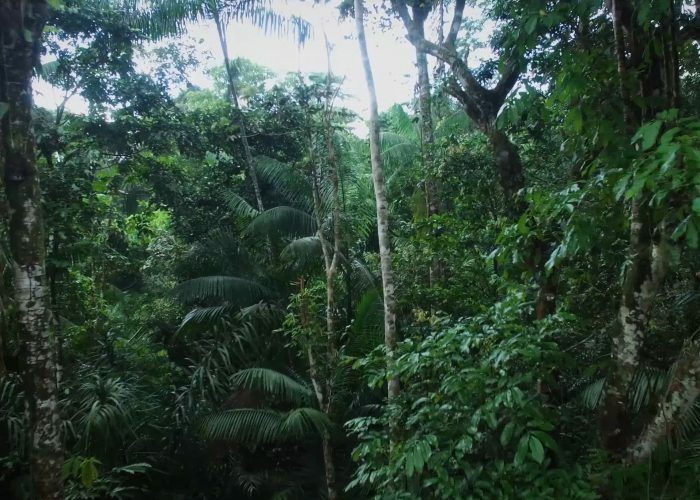 In December of 2015, the American artist Foon Sham travelled from his home in the Washington D.C. area to the South American country of Suriname, to participate in an Art in Embassies cultural exchange program organized in collaboration with the Cultural Affairs Section of the U.S Embassy in Paramaribo. 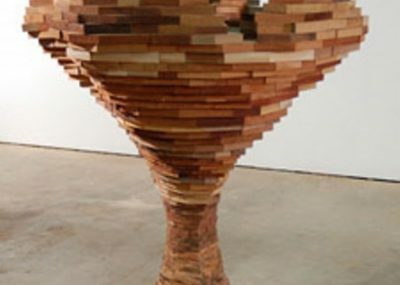 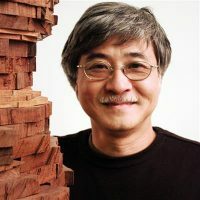 A professor of art at the University of Maryland, and a practicing artist, Foon Sham is well-known for his large geometric wooden sculptures. Sham began his exchange by delivering a presentation to a group of students from AHKCO (Academy for Higher Arts and Culture Education) in Paramaribo on Dec. 14. 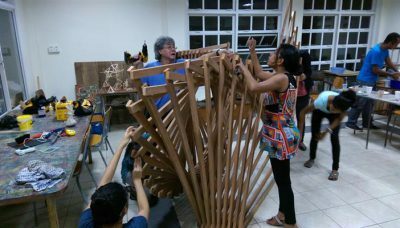 Beyond describing the materials, motivations and developments of his own artistic practice, he also engaged the students with questions about Surinamese art history. 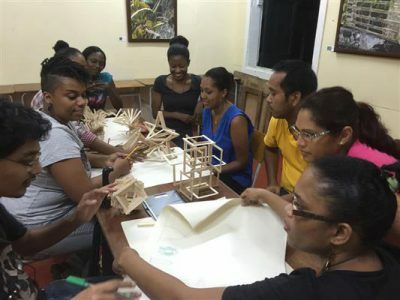 Together they discussed artistic materials commonly used by local sculptors along with several ideas pertaining to the making, exhibition, and social value of public art. 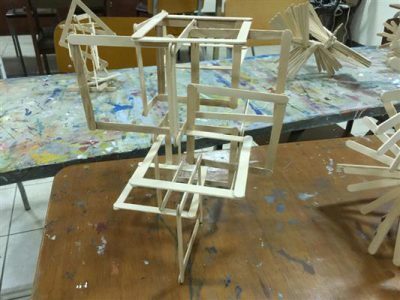 Sham’s presentation at AHKCO was followed by a five day workshop exploring concepts of modular structure. 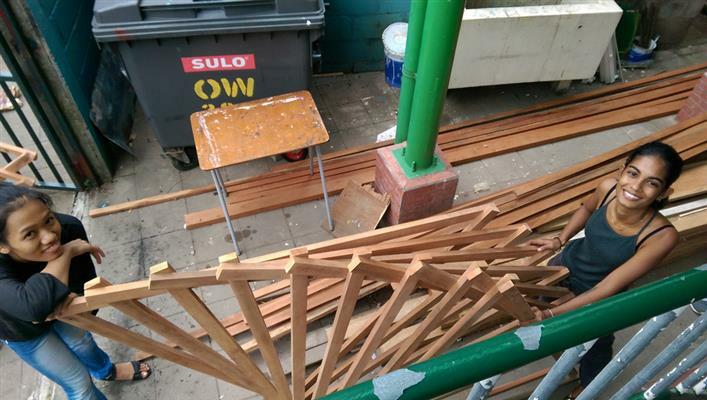 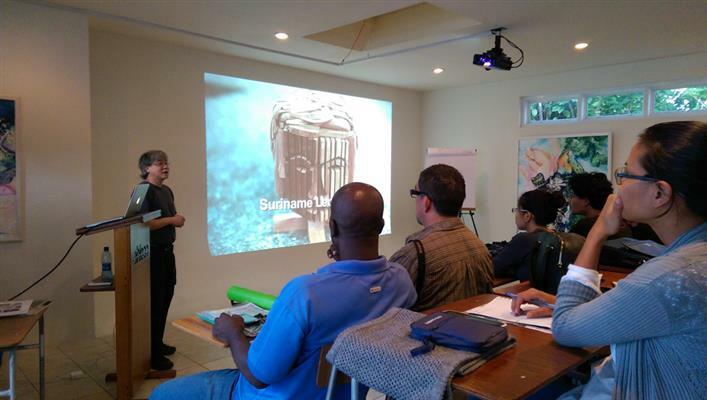 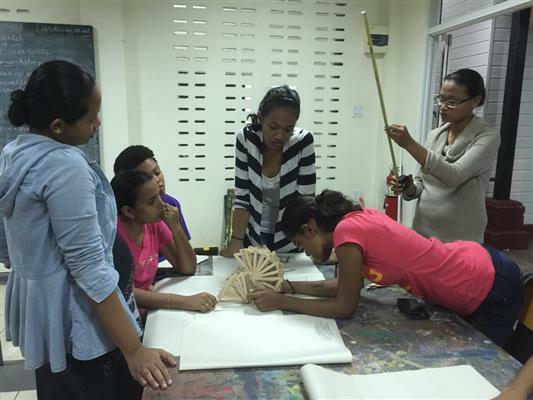 This course provided students an opportunity to deepen their three-dimensional design skills. 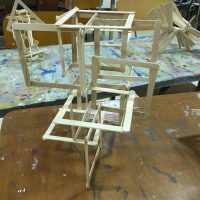 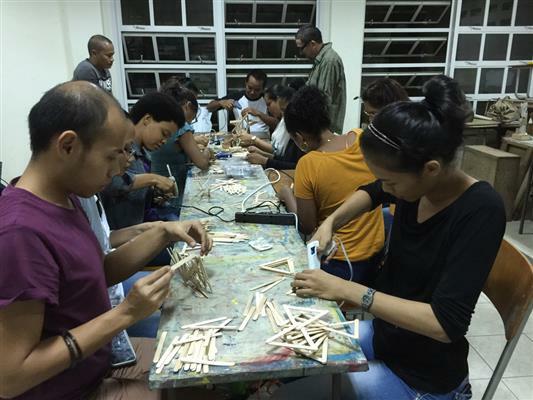 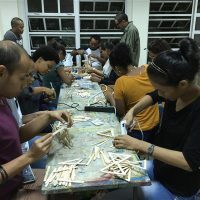 Under Sham’s guidance, the participants first used popsicle sticks and glue to create several small models as a way to experiment with geometric patterns and explore the formal properties of wood. Then, after discussing and refining their designs, they began to work collaboratively on a much larger scale. 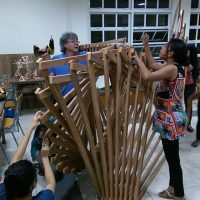 Using locally-sourced lumber, the group managed to successfully construct a series of monumental freestanding sculptures over the course of just a few days. 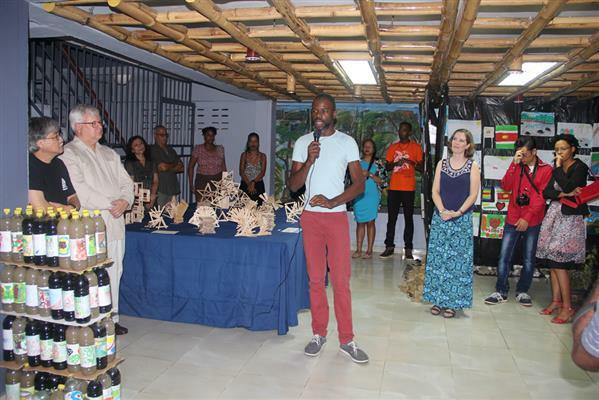 In addition to his workshop at AHKCO, Sham also visited several galleries and studios in order to learn more about the contemporary arts and cultural life in Paramaribo. 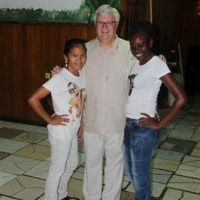 Particularly notable was his meeting with artist Miguel Keerveld. 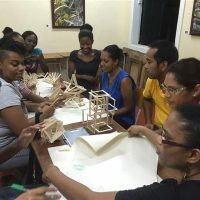 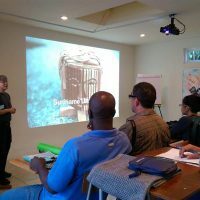 In April 2015, Keerveld toured the U.S. as a participant in one of the State Department’s International Visitor Leadership Programs (ILVP) wherein he was able to learn more about how organizations can promote social good through the arts. 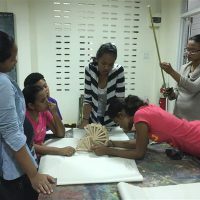 Finding common ground, Sham and Keerveld greatly enjoyed sharing their experiences and impressions of cultural exchange with one another. 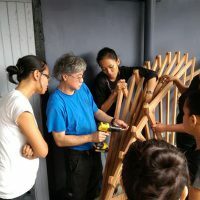 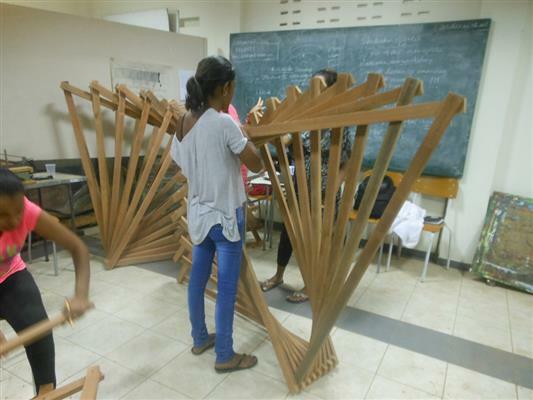 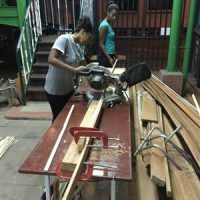 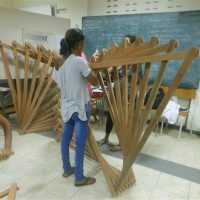 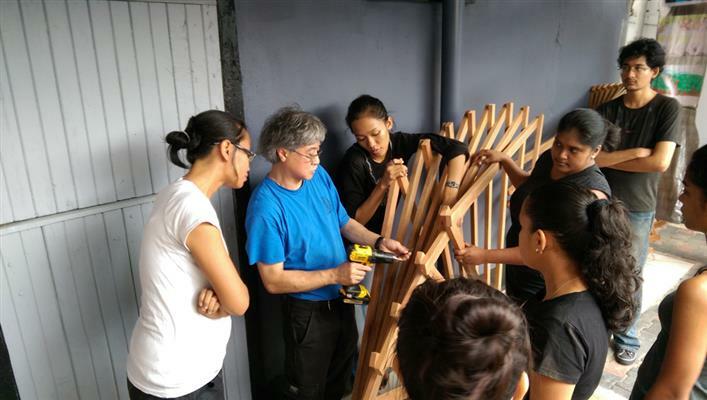 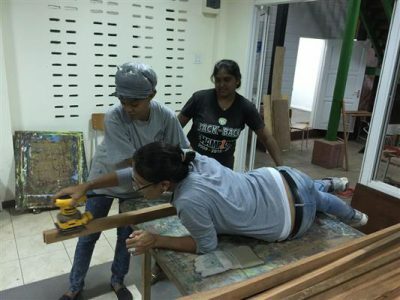 By the fourth day of Sham’s workshop, the AHKCO studio had become a hive of activity as the students were intently focused on transforming their small models into full-scale wooden sculptures. 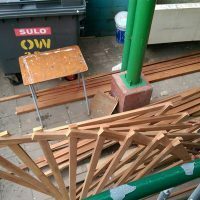 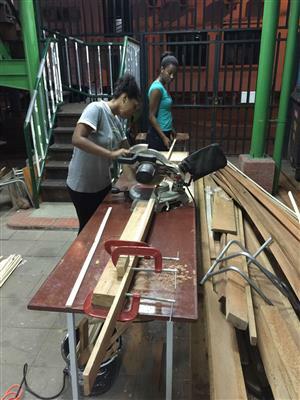 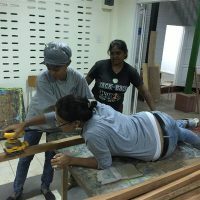 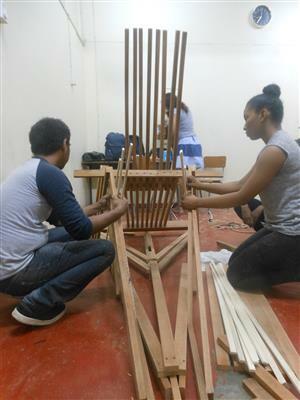 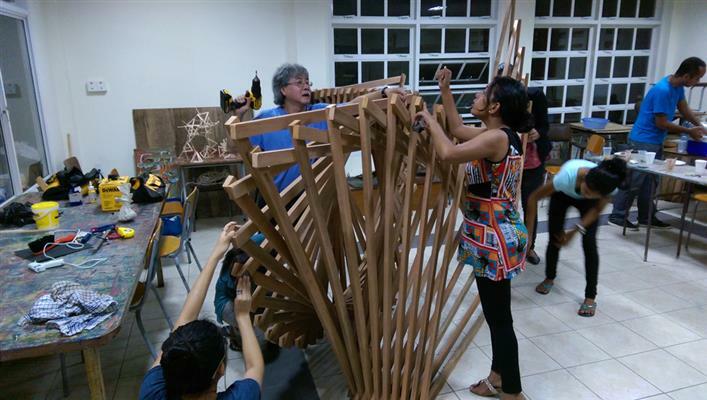 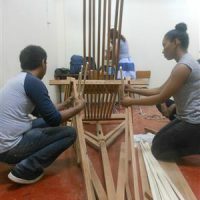 Once these were constructed, the final phase of the workshop involved transporting the large pieces across the city to be included in an exhibition, The Ripple Effect, at the Unique Bamboo Lounge in Paramaribo. 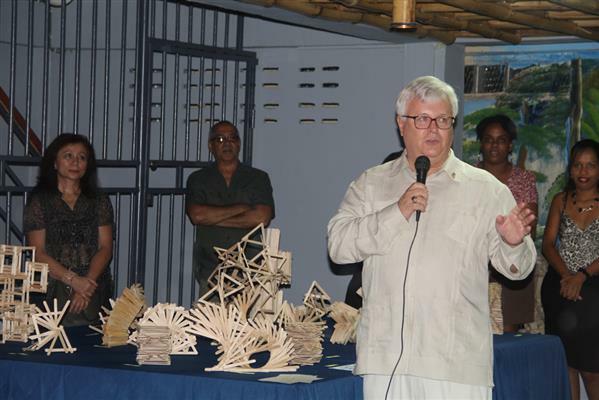 This exhibition opened with a reception on the evening of December 19th and featured remarks by U.S. 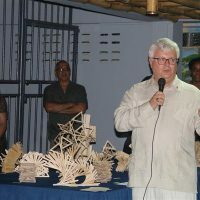 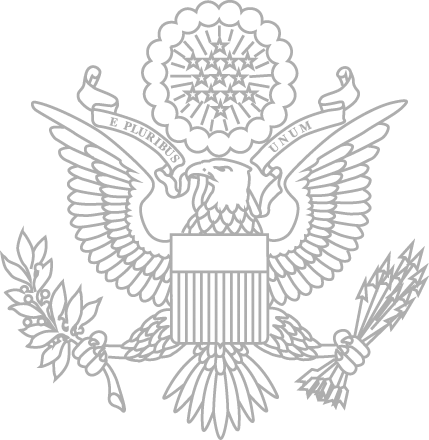 Ambassador Edwin R. Nolan. Besides the AHKCO sculptures, The Ripple Effect also showcased several environmentally themed drawings by students from Kinderhuis Saron and Internaat Siswa as well as live poetry performances organized by Miguel Keerveld.